Lola, 2 years old. She wears glasses for farsightedness and esotropia. 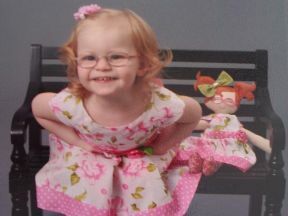 Her doll was designed and sewed by her mom and grandma as a surprise for the day she picked up her glasses.